The Northants Flora Group is planning a field meeting on 30th September and 1st October to a "very under-recorded area around Banbury in the south of VC32. "The plan is to visit the industrial areas of Banbury itself (SP44Q) on the Sunday, and Middleton Cheney and Chacombe on the Monday." Botanists from Northants and Oxfordshire are very welcome to attend and should contact Alyson Freeman, Joint VCR for Northants., for more info. Alyson Freeman and Brian Laney. Checklist of the Flora of v.c. 32, listing all species recorded, historically and currently. The Northamptonshire Flora Group was first formed to facilitate the publication of a new vice-county flora, which was published in 1995. Since then a small group of botanists under the leadership of the late Rob Wilson, who was County Recorder for Northants. until his sad death in 2018, have worked together to record for the Millenium Atlas, the local change project and a much expanded and completely updated Flora which was published in 2013. We are currently recording for Atlas2020 with the intention of covering the whole of the vice-county between 2011 and 2020. You are welcome to join us on any of our outings - please contact Alyson Freeman at alysonfreeman0@gmail.com to find out more. In addition to the Northamptonshire Flora Group, which covers the whole of the vice-county, there is also the the East Northants and Soke of Peterborough Group which covers the north-east of the vice-county. Meanwhile if anyone requires further information, or wishes to be added to the poll for outings, please contact Alyson Freeman at alysonfreeman0@gmail.com. 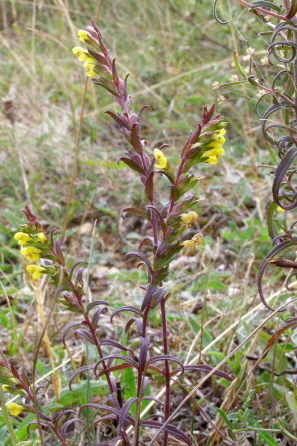 A new Rare Plant Register has been completed and is available here. This new publication now includes dot maps that cover all the known records for each species, showing in some cases the extreme contaction of the range within the vice-county over the past 150 years.